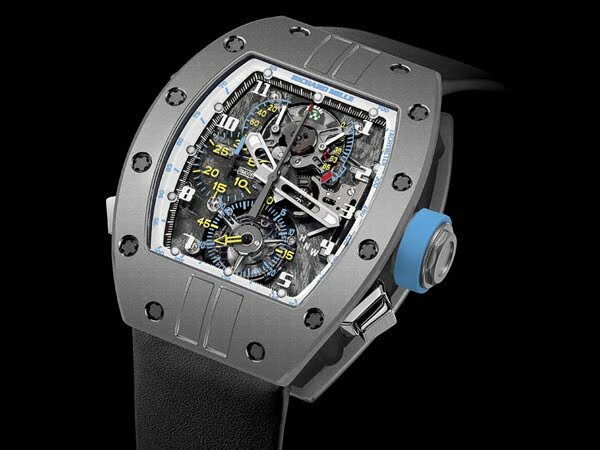 Richard Mille will naturally be there in its capacity as Principal Partner and Official Timekeeper of the competition, which has become one of the world’s most renowned events for vintage cars. 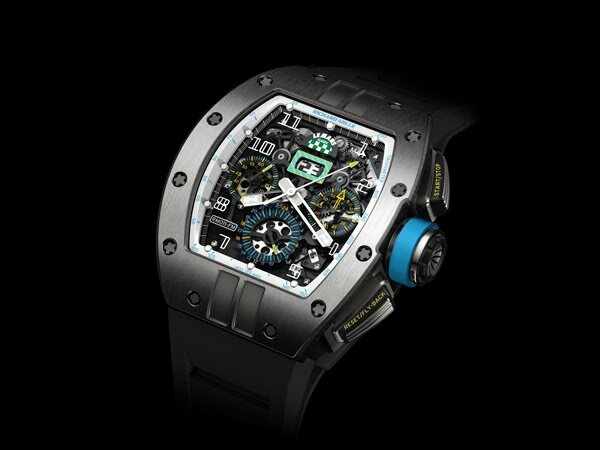 To mark the event, the brand is unveiling two limited editions: the RM 008 LMC and the RM 011 LMC. These two technically advanced, high-performance sports watches are a tribute to this outstanding race, which offers a retrospective of the famous Le Mans 24 Hours. Both timepieces have been designed using the same approach developed for the construction of racing cars, where chassis, engine and bodywork are imagined as a coherent whole with the single objective of optimum efficiency. split-seconds chronograph minutes counter and the small seconds counter as well as the torque and function displays echo the blue and yellow colours of the rumble strips on the 24-hour circuit. Another reminder of this historic race is the Le Mans Classic logo positioned on the dial, at 12 o’clock. The case in grade 5 titanium is microblasted and features a DLC-treated caseband. The double striped “Le Mans” type bezel is also microblasted. The RM 008 LMC, released as a limited edition of two timepieces, embodies the synergy between watchmaking and motor racing. A limited edition of 150 timepieces, the RM 011 Le Mans Classic watch features a skeletonized automatic movement with flyback chronograph and annual calendar. This watch also has a 24-hour counter positioned at 6 o’clock - a technical refinement that pays tribute to the Le Mans Classic race and to the four hundred cars and drivers who compete in teams on the great Le Mans circuit from 4 p.m. on Saturday to 4 p.m. on Sunday non-stop. As on the RM 008 LMC, the chronograph counters, hands and date display at 12 o’clock are embellished - in honour of Le Mans Classic - with the colours of the rumble strips on the famous racing circuit in the Sarthe. More than 200 separate machining operations are required to make the barrel-shaped titanium case alone. The bezel, meanwhile, is satin-finished with a double “Le Mans” microblasted stripe in the centre. The design and construction of the watch reflects an overall, comprehensive approach to the movement, case and dial.